Know Your Living Space. Live Better. My AcuRite is your personal home assistant, empowering you to create a comfortable and safe environment for your family, pets, and valuable possessions. The Window to Your World. My AcuRite's smartphone app, tablet, and browser-based interface provides peace of mind. It lets you view home conditions from work, on vacation or from your favorite chair. Always know your environment in and around your living space, and keep tabs on all the places that matter to you. Don't Get Your Feet Wet. An overflowing appliance, failed sump pump, or leaking roof can cause major water damage. 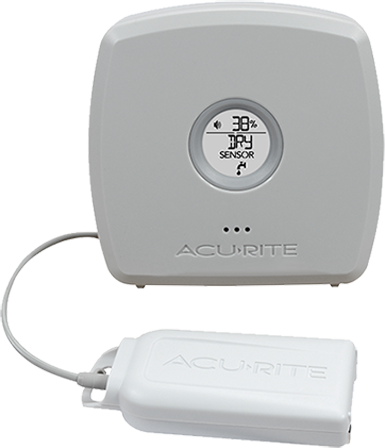 AcuRite’s Water Leak Detector gives you early warning with instant notification, and more time to take action. Water has been detected from the wired sensor connected to Kitchen Sink. Pipes Shouldn't Burst Your Bubble. Preventing frozen pipes often means the difference between an easy fix, and a gut rehab. 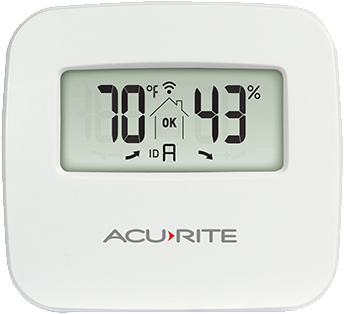 My AcuRite can send you a low temperature alert before pipes can freeze. The temperature from the wired sensor connected to Water Pipe is below 35ºF with a reading of 34ºF. Knowing when to plant, how much to water, and when to cover sensitive plants are integral to tasty veggies, a lush lawn, and sweet-smelling flowers. My AcuRite’s rain gauge measurements, weather monitoring, and soil temperature tracking keep things growing in the right direction. My AcuRite makes your home a smarter place with insights about your environment. Monitor temperature and humidity levels for home comfort. Maintain proper indoor conditions to prevent the growth of mold, mildew, and other allergens. Instant alert if an appliance leaks or your basement takes in water. Pinpoint drafts and leaks, and verify your ventilation system is operating properly. Get notified when temperatures drops below safe pipe temperature levels. Maintain safe conditions for dogs, cats, fish, reptiles, and other small mammals. Plant your garden at exactly the right time. Know when and how much to water your lawn. Track water temperature from anywhere, and always know the perfect time for a swim. Share Information with the Whole Family. Keep family, friends, and even neighbors informed about conditions that matter. One great feature of My AcuRite is that you have the option to share your home conditions, so mom and dad both can see what’s going on. This is also handy if your neighbor is watching your cat, or if you live near your friends’ favorite fishing spot. Precision measurement of atmospheric conditions where it matters most: your home. My AcuRite's location-specific weather readings, and reliable 5-day weather forecasts help you plan your day. Better Sensor Technology. Better Information. The sensor’s precision thermistor provides accurate, reliable temperature readings. The sensor’s precision hygrometer reliably measures moisture in the air. Pair sensor with smartHUB to view data on app or web browser. View on digital display for at-a-glance conditions. 330 feet (100 meters) of reliable wireless signal transmission to the smartHUB. Wireless Signal Extender expands the range. 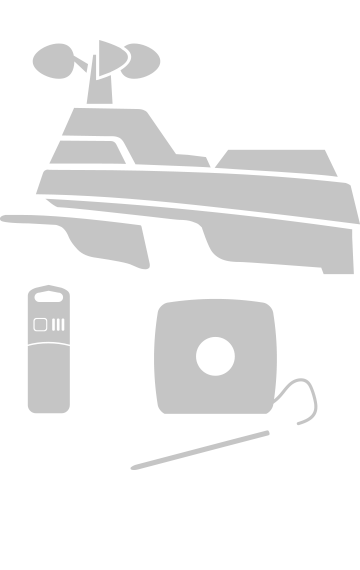 The sensor includes multiple integrated mounting options. Position the weather-resistant sensor in a location where you want to monitor conditions. Precision thermistor ensures accurate indoor temperature readings. Precision hygrometer reliably measures moisture in the air. 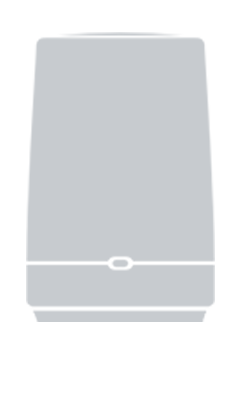 Humidity Level Icon easily conveys a high, low or OK indoor humidity level. Indoor conditions can be seen, at-a-glance, on the Sensor’s digital display screen. Includes multiple integrated mounting options. Position the sensor in an indoor location where you want to monitor conditions. 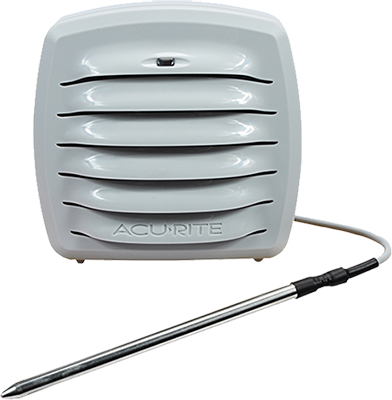 AcuRite Access receives environmental readings from up to 7 sensors within a 330 foot (100 meter) radius. 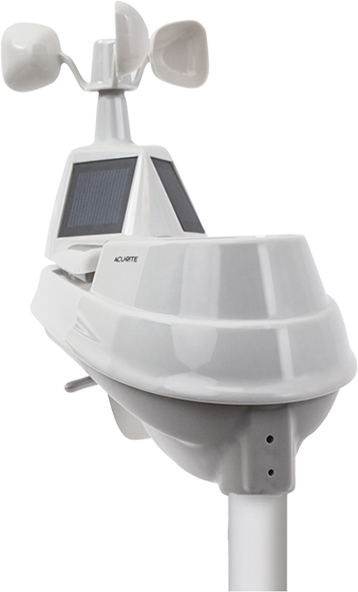 Expand your system by positioning an AcuRite Access at any location you wish to monitor, such as a vacation home, a small business, or a commercial property. 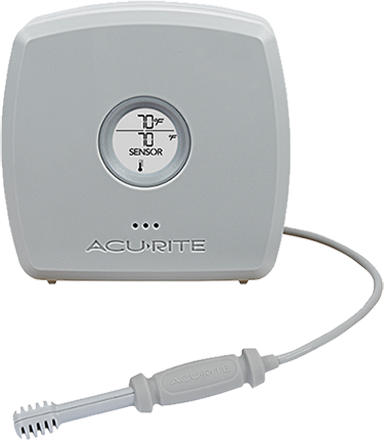 The AcuRite Access features an integrated barometric pressure sensor. Pressure is a crucial component to weather prediction. Access your sensor data on any smartphone, tablet, or browser. The AcuRite Access passes data through your Ethernet router to the My AcuRite cloud server. 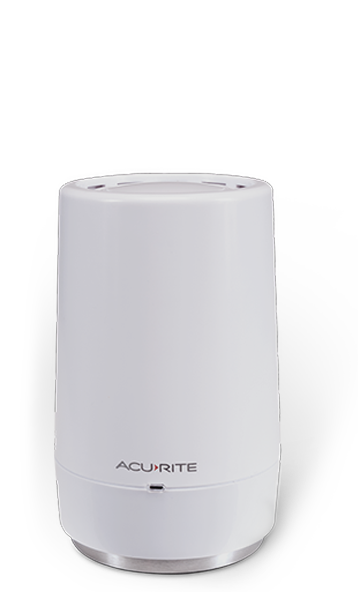 Simply plug the AcuRite Access into your Internet router, activate, and create a My AcuRite account. Measure soil conditions to ensure optimal planting and germination. Waterproof construction allows for convenient measurement of pools, hot tubs, aquariums, fountains, and ponds. Affixing the sensor lengthwise along a vulnerable pipe can afford you advanced warning if a pipe could potentially freeze and burst. 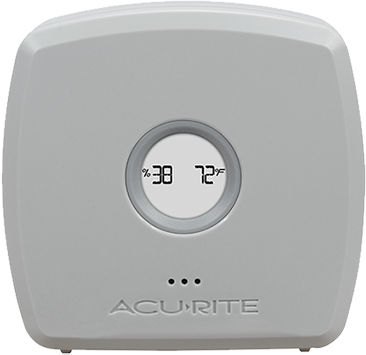 Choose from AcuRite’s indoor Room Monitor or weather-resistant Outdoor Monitor. Insert into potting soil, aquarium, or affix to a pipe using zip ties (included). Position the monitor and wired sensor where you wish to measure temperature. Precision thermistor ensures accurate temperature readings. Precision hygrometer reliably measures moisture in the air. Useful in checking for drafts, gauging home heating and cooling efficiency, comparing indoor and outdoor conditions, and more. Insert into a hard-to-reach space, mount to a wall using included hardware, or affix to a window using included suction cups. Position the monitor and wired sensor where you wish to measure temperature and humidity. Triggers an alert, giving you instant notification if an appliance leaks, a sump pump fails, there’s seepage in your home's foundation. Using the 5 foot wired cord, two or more Water Detectors can be connected together to keep tabs on a large area. Place on the floor, or hang in a sump pump well using the integrated hang hook. Position the water detector where you wish to check for leaks. Precision thermistor and hygrometer reliably measures moisture in the air and ensures accurate indoor temperature readings. Indoor conditions can be seen, at-a-glance, on the Room Monitor’s digital display screen, as well as on the app. Compatible with add-on wired sensors: Water Detector, Liquid & Soil Temperature Sensor, and Spot Check Temperature & Humidity Sensor. Includes multiple integrated mounting options. Position the monitor in an indoor location where you want to track conditions. Precision thermistor, enhanced by an integrated radiation shield, ensures accurate outdoor temperature readings. Precision hygrometer reliably measures moisture in the air outside. Includes multiple integrated mounting options. Position the weather-resistant monitor in a location where you want to track conditions. 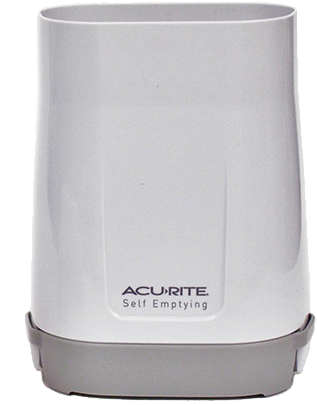 AcuRite’s self-emptying rain gauge lets you accurately measure even the heaviest storms without missing a drop. Features 100 feet (30 meters) of reliable wireless signal transmission to the smartHUB.Wireless Signal Extender expands the range. Comes fully assembled and includes mounting hardware. Simply place it on a flat surface where you want to measure rainfall. Precision anemometer and wind vane utilize high quality bearings for durability. Self-emptying rain gauge accurately measures even the heaviest storms. Integrated radiation shield, and solar-powered aspirating fan enhance accuracy. Includes multiple integrated mounting options. Position the weather-resistant sensor in a location where you want to monitor conditions. The anemometer utilizes high quality bearings for durability and smooth operation. Accuracy is enhanced by an integrated radiation shield. Even in searing, direct sunlight, you can count on reliable temperature readings. Comes fully assembled and includes mounting hardware. Simply position the weather-resistant sensor in a location where you want to monitor conditions. 330 feet (100 meters) of reliable wireless signal transmission to the smartHUB. Wireless Signal Extender expands range. 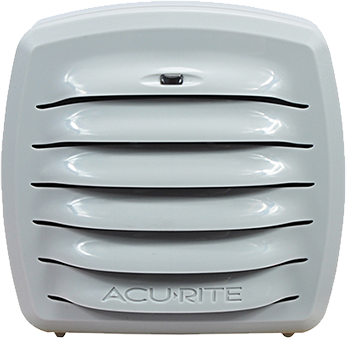 AcuRite products offer multiple mounting options, effortless wireless pairing, plus intuitive operation. Measure temperature, humidity, soil temperature, pipe temperature, wind, rainfall, barometric pressure, detect water, and more. Connect AcuRite Access to an Ethernet router to seamlessly transmit environmental data to the Internet. Mobile apps and website give you everything you need to know about your indoor and outdoor environment.